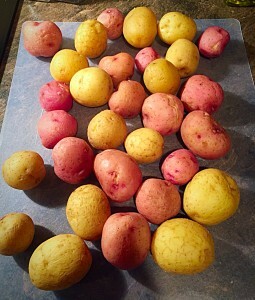 Quarter the potatoes into bite-size pieces. 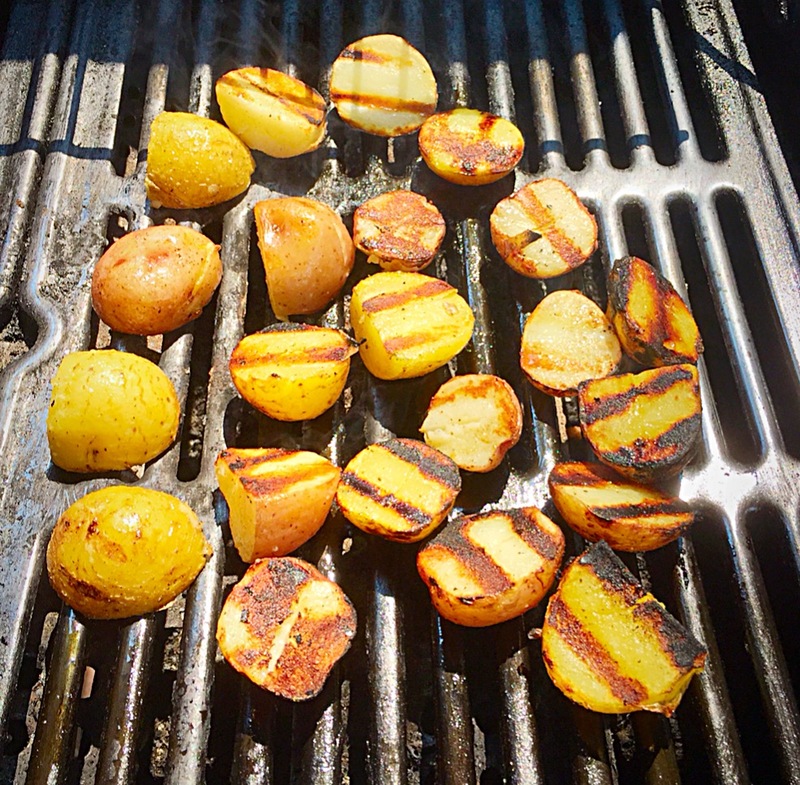 Preheat an outdoor grill to medium heat. 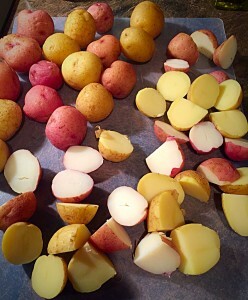 Place the potatoes into a large bowl. 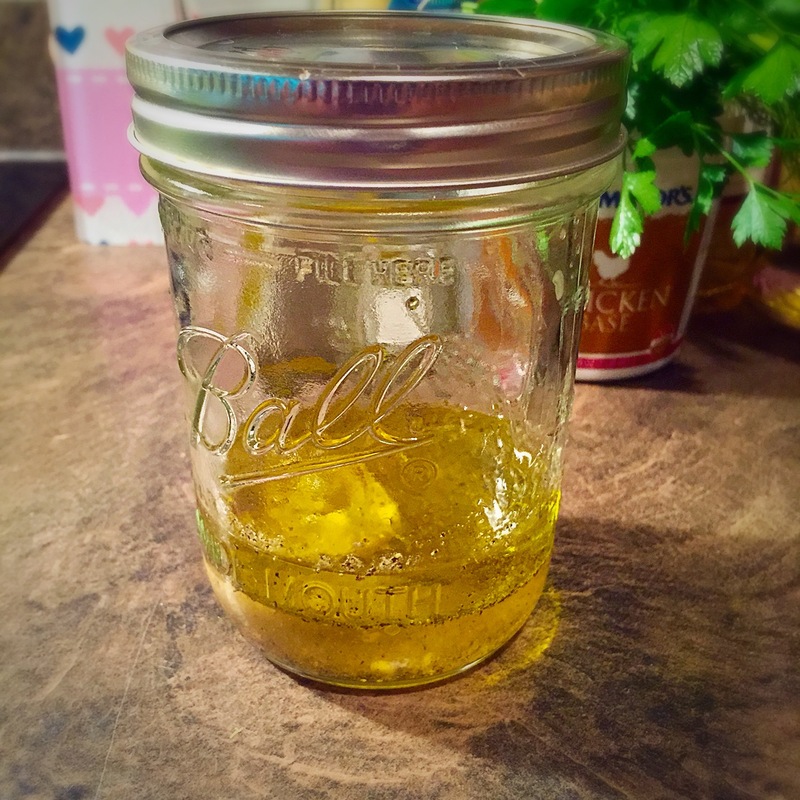 Drizzle with the 3 teaspoons of olive oil, salt, and pepper. 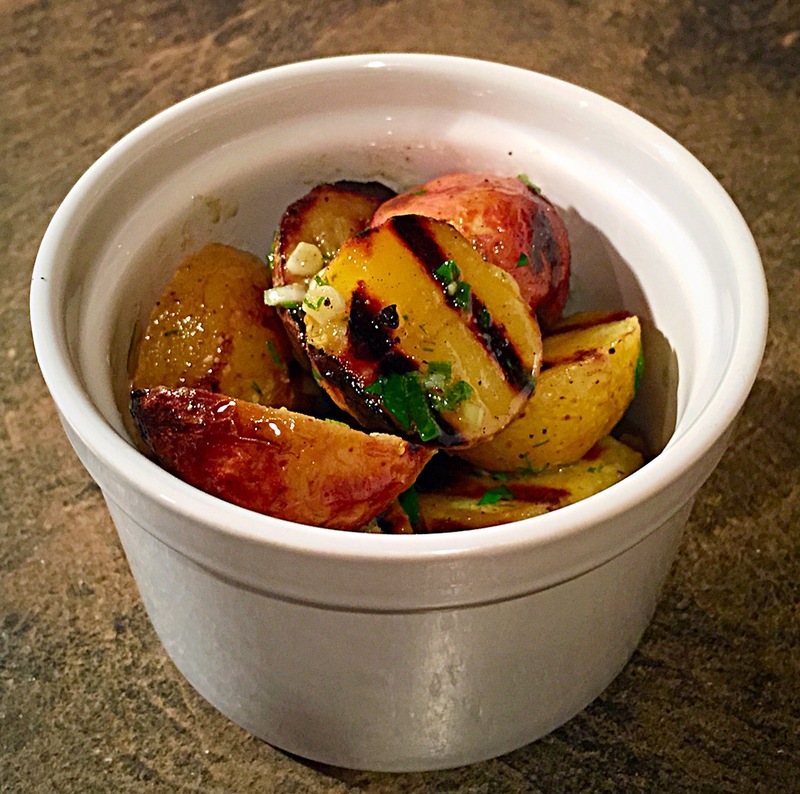 Place the potatoes directly onto the grill and close the lid. Turn potatoes after 3 to 5 minutes. 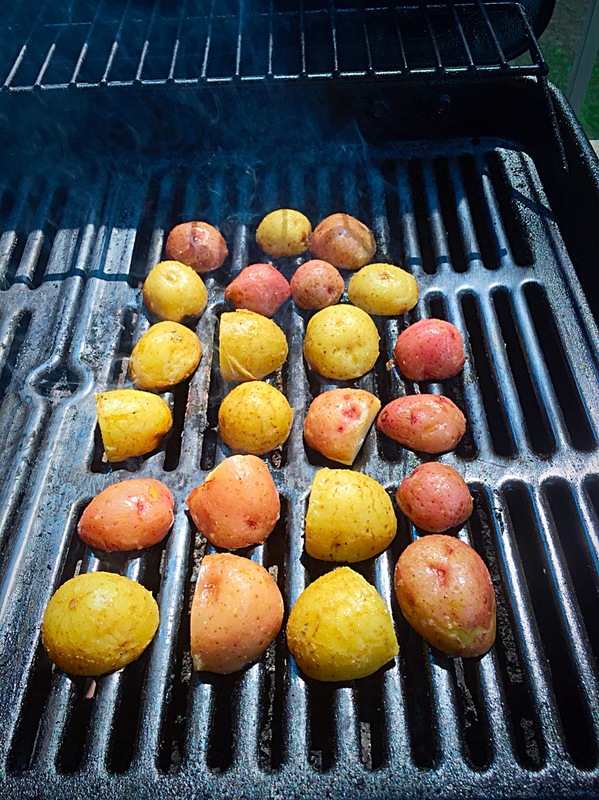 Remove from grill when they have nice grill marks. Toss the potatoes gently with the wine and chicken stock and let rest for about 5-10 minutes (this allows the liquids to soak into the warm potatoes). 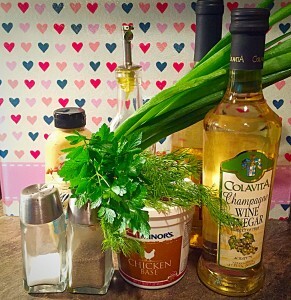 In a mason jar or container with a tight fitting lid, add the vinegar, mustard, ½ to 1 teaspoon of the salt, ¼ teaspoon pepper and the remaining 5 tablespoons of olive oil. Shake, shake, and shake, til emulsified (about 30 seconds). Add the dressing to the potatoes. Add the scallions, dill, parsley, 1 teaspoon salt, ¼ teaspoon pepper and toss. Serve warm or at room temperature. Tip- to make the dressing a creamy texture, blend the onion, champagne vinegar, olive oil, salt, and pepper in a mini food processor. Place the potatoes into a large bowl. 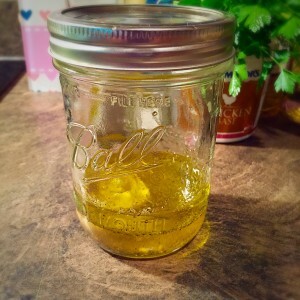 Drizzle with the 3 teaspoons of olive oil, salt, and pepper. 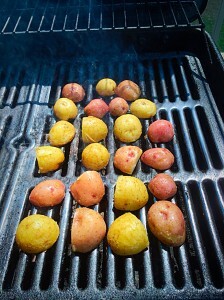 Place the potatoes directly onto the grill and close the lid. 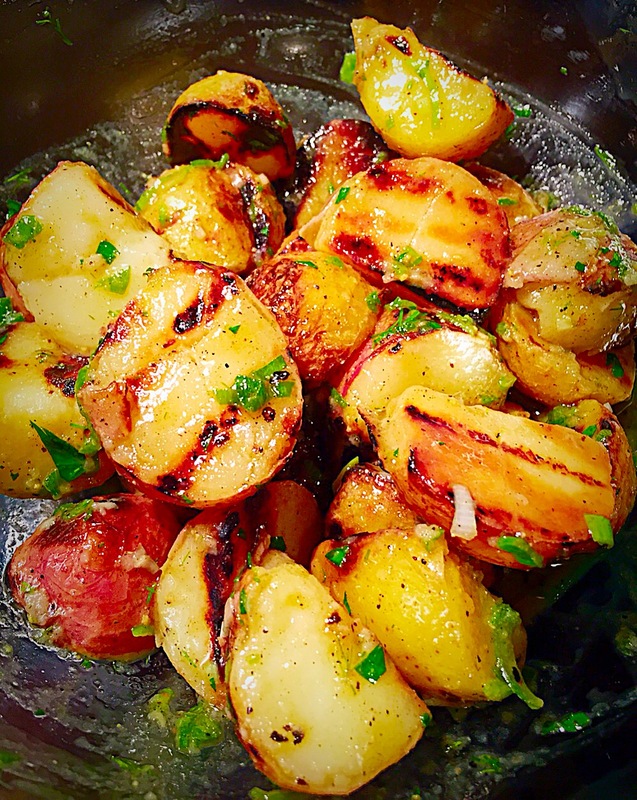 Turn potatoes after 3 to 5 minutes. Remove from grill when they have nice grill marks. 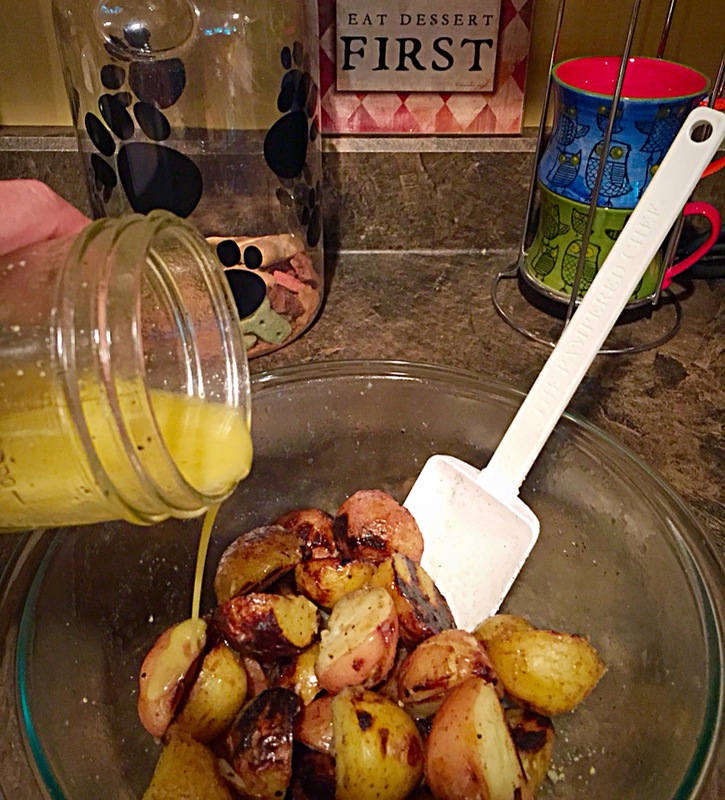 Add the dressing to the potatoes. 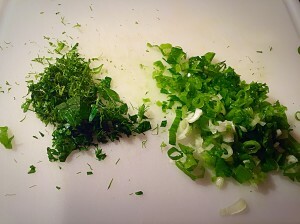 Add the scallions, dill, parsley, 1 teaspoon salt, ¼ teaspoon pepper and toss. Serve warm or at room temperature.